Today we would like to welcome Kathryn Kilner as our guest blogger. 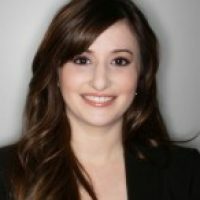 Kathryn is a senior marketing manager at BrightTALK, a webinar and video solution for professionals and their communities. You can find her presenting on the BrightTALK Academy and writing on the BrightTALK blog. Follow Kathryn on Twitter at @KKilner. The need to engage meaningfully with prospects and customers has skyrocketed as savvy professionals increasingly self-educate at every stage of the purchasing cycle, and using video thought leadership content can be a great way to capture your buyer’s attention. In this blog, discover the who, what, when, how and why of lead nurturing through webinars and videos so you can take your buyers on a more engaging (and fun) journey. Anyone involved in marketing knows the importance of generating quality leads for their sales team. Webinars and videos can be a highly effective tool when used as part of a larger marketing strategy, but many marketers don’t think to include them in their lead nurturing tracks. Instead, many lead nurture tracks include only ebooks or datasheets. Don’t underestimate the power of video and webinar content in humanizing your brand and creating a relationship with your buyers. With the millions of potential leads floating in cyberspace, it is necessary to concentrate your lead nurturing efforts on those who are interested in buying in the first place. Streamline your efforts by segmenting and profiling your target audience. Ask yourself, “Who am I selling to?” and equally important, “When am I selling to them?” Other helpful considerations include your potential buyers’ geographic location and level they occupy in their company. Profiling and segmenting your audience will help you develop targeted content that speaks to prospects’ needs at the right times, planting a seed for a future sale. And most importantly for the purposes of this post, when you are planning your webinars, make sure you keep this in mind and formulate a plan to address each persona and buying stage in your efforts. Webinars and videos can be particularly effective in encouraging long-term user engagement. Create compelling content by inviting thought leaders within your organization and externally to present educational information that addresses the questions of your target audience. Further optimize your content by developing tracks based on existing assets that can be logically linked together as a series to encourage repeat engagement. Ask yourself if a particular asset encourages awareness, engagement or action and place it accordingly. By mapping out your assets alongside your customers’ buying cycle, you can use your content to pull prospects through the funnel, fostering an online community that will yield high-value leads. For instance, maybe you recently hosted an event that had numerous educational sessions that were filmed. You can create nurture tracks for your attendees that include various videos from each session and some accompanying content pieces. Remember that relevancy is key, that is why taking time to really segment your nurture tracks helps you be spot on with your content. When nurturing leads from webinars and videos, keeping them on your own site is key. Embed your online events on your site so you can contextualize your content with your brand messaging and direct viewers to additional content assets designed to identify those most ready for a sales conversation. You can track which content buyers viewed, how long they viewed it, how they interacted with it and where they went before and afterward on your site. Offer one-time registration so that barriers to content are removed and the user can freely navigate through the site, accumulating information for your sales team along the way. An effective webinar and video platform should be able to deliver specific metrics and information for each audience member, including demographics, consumption time, engagement and behavior, so that your sales team can have an informed and warm initial conversation with the prospect. Webinars and videos nurture leads through a series of content-based interactions that humanize your brand and personalize viewers’ experiences. Webinars and videos also produce valuable information about each person’s interest in your products and services while positioning your company as a thought leader. In the end, it all comes down to quality content – today’s buyers are increasingly looking for answers online, and if your content is irrelevant or unengaging, they will look elsewhere. Taking a step-by-step approach to your webinar and video program will help you effectively nurture leads from seed to sapling to sale. What other ways do you use webinars and videos in your nurturing programs to enhance engagement?